The Last Dollar Saloon is undergoing a major renovation to be opened soon, there will be a roof top bar expected to open in August. The National Restaurant behind the Last Dollar is planned to open for the Winter Season. SMART transit service is moving into the commercial space in the Spruce Street House on the corner of Spruce and Pacific. 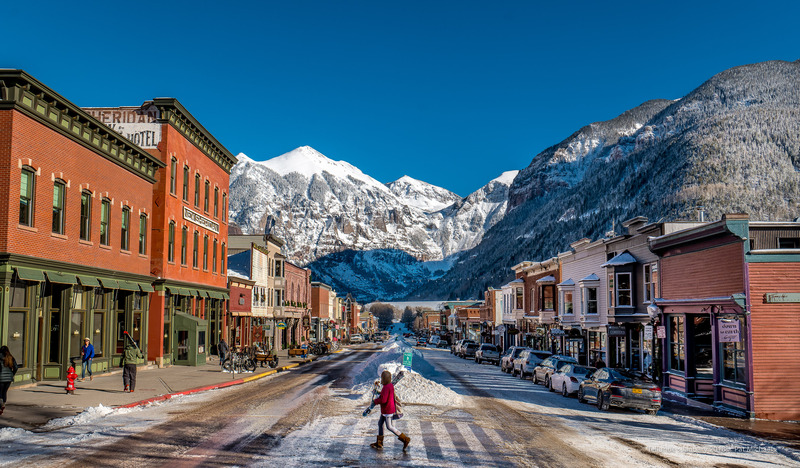 The Town of Telluride is moving forward with the construction of the building on south Fir and Pacific on what is locally known as the S.M.P.A. lot. This building will contain underground parking, The Ah- Haa School for the Arts and Affordable Housing. The Merriweather four corners project is moving along, one building on the corner of Fir and Pacific is complete. The Transfer warehouse received a facelift and has been conveyed to Telluride Arts, and the main building to the south of the Transfer warehouse is framed and being finished. Of the two buildings south of the Library on Pine, one of these buildings is finished and the other is nearly complete. I am not aware of who will occupy the commercial spaces in these buildings. The Pederson building on Colorado Ave. on the corner of south Aspen is undergoing an extensive remodel and expansion. Down to Earth was sold to Lauren Reed and the business was moved to South Oak underneath the Visitors center. The old Belmont Building is now occupied by Crossbow Leather shop. The Senate Building on South Spruce has been completed. The old Wagner Gallery on 120 North Fir is totally being remodeled into residential units. The Wizard moved to the Old Yarn store at 320 West Colorado. No news regarding the state of the Hotel Ajax.